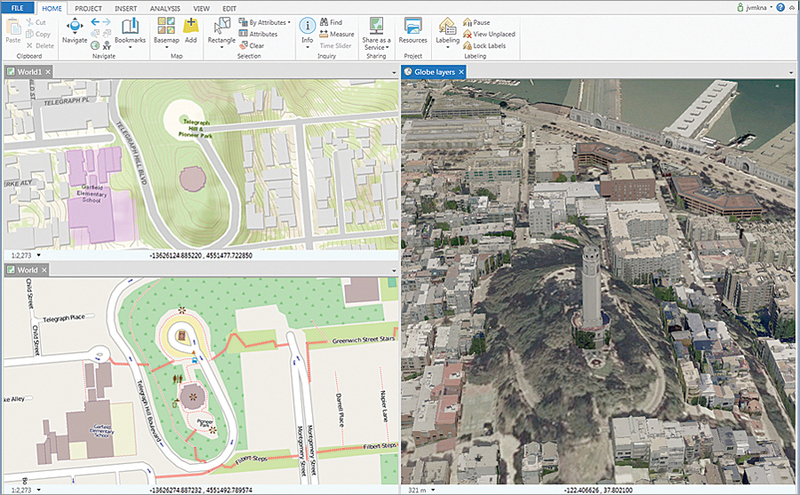 ArcGIS Pro is the desktop GIS you've been dreaming of, and now it's here. No more getting lost in contextual windows and dialog boxes, either. A new project workflow has been created that lets you organize your workspace, tools, and data right away and get busy getting your work done. You can work at speed and have fun while you're doing it. 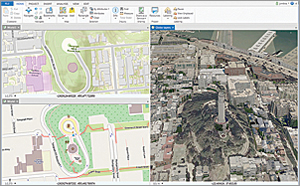 ArcGIS Pro works side by side with ArcMap, so you don't have to choose between them. You can also import your work from ArcMap into ArcGIS Pro. With your ArcGIS for Desktop license, you already have an ArcGIS Online account. ArcGIS Pro is connected to your ArcGIS Online account, so you can immediately pull in relevant content from ArcGIS Online to begin or augment a project.